ITFT is an emergence of the term “skills” to the entireness of the personality. It is the need of the contemporary competitive world as everything from raw rises to its sublime by getting a Final Finishing Touch. The Finishing School is meant to avail the learners with up-to-date Industry Skills and the Current Trades which not only confine to the present but adhere with the future perspective, being far-sighted. It is a step to evolve internal and external characteristic traits of an individual current skill sets to be manifested spontaneously. Finishing School imparts skills in a blended learning system, using a mix of Satellite Enabled Training, Remote Labs and E-Learning with simulations & projects blended with Traditional class room Training as the training methodology. Our biggest strength is our ability to customize the training, both in terms of content as well as delivery methodology, depending upon the unique requirements of each client. Taking the latest technological advancements and opening of economies in the last decade, finishing school seem to play a pivotal role. The services exports in the world have increased their share in international trade, experiencing a larger growth than goods exports. The global services industry can be broadly divided into three segments according to the characteristics of the tasks and/or processes that are internationally commercialized, namely Information Technology Offshoring (ITO), Business Process Offshoring (BPO) and Knowledge Process Offshoring (KPO). The component of human interaction and quality decision-makes the relevance of establishing finishing school all the more relevant. The concept of finishing school is becoming synonyms with the services industry today. The Finishing school programs are being used as a strategic training and development tool to find a sure shot route for the employability and entrepreneurship of human resources within the global services industry in developing countries. Finishing schools are a logical response to this necessity. Finishing School aims at developing and empowering the skill eco-system of the Asian region, by fixing the 4Es of Education, Employment, Entrepreneurship and Empowerment, through Skills Development and enhancement. ITFT Finishing School is dedicated to meeting the complex needs of individuals and organizations. 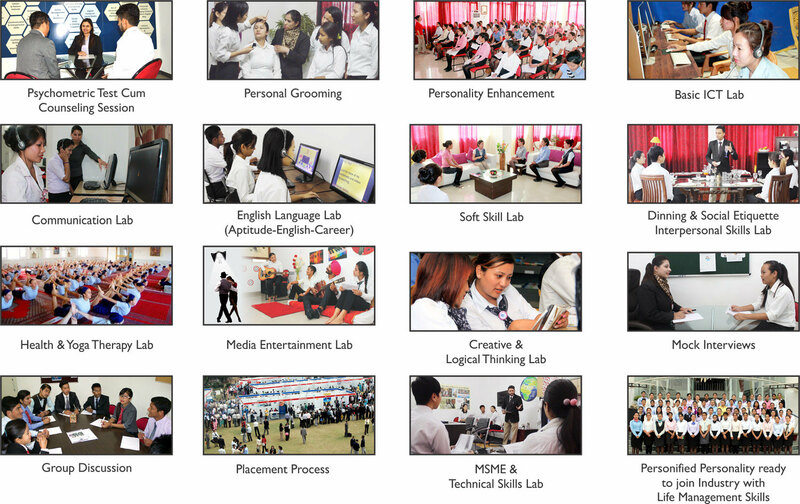 We understand that an effective learning strategy consists of a holistic practical learning experience. This requires an understanding of an individual's personality and an organization's vision .The knowledge of the systems and processes that can make an impact within the organization's culture and the experience to map these factors, is what drives our training methodology. There are many Levels of Finishing School which a learner goes through. There is a need for a finishing school for the students of all the colleges to prepare them for the corporate world so that they secure jobs in industry. The course will run along with the regular classes in a batch of 25 students with an increment of 10 students every year. It will be established to sensitise the students/ youth to be aware of the literal form with the amalgamation of internal and external characteristics. There are many Levels of Finishing School which a learner goes through. Being the integral part of the academics, finishing school begets the pragmatic approach to students for IT Skills and Sales & Marketing. The learners confront the various customer dealing situations. 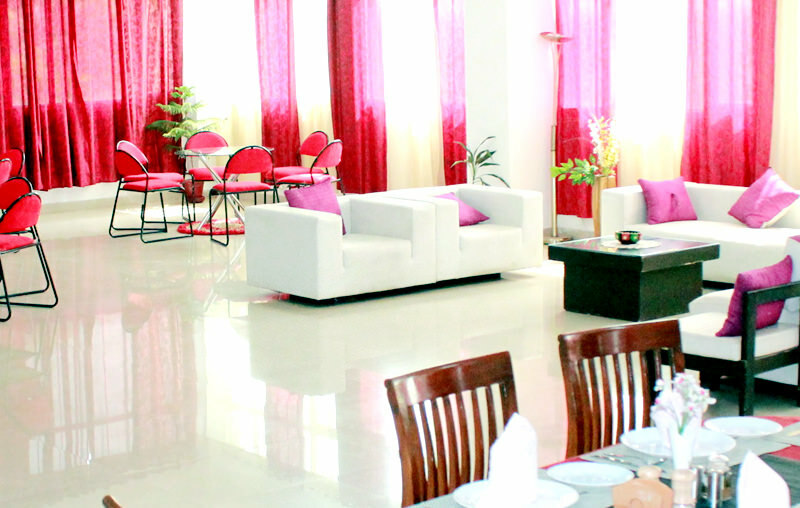 Along with this Corporate Room also pulls the attention for business set-up and exploration. The Media & Entertainment Room to let the flair for various talents express. At the first level, student undergoes a counseling session where a rapport building is done so that he/she becomes comfortable and is able to represent his ideas. Next level is the grooming wherein the required tip to toe grooming is done. Grooming session comprises of their casual, professional and many more dressing styles, Hair styles, skin care, body care and further more. The third level is the most vital i.e body language which includes comprehending the body postures / gestures and what toadapt or what to avoid in a particular scenario. After these three levels/ stages the student goes for another counselling session which serves the purpose of looking into the student whether he/she has gained confidence in the implementation or not. It results in a report of the student’s development for the pessimistic or optimistic aspect. The next level consists of communication skills PART 1 in which a student is imparted information about the utility of English language with the simple usage of words and sentences. After that we go for etiquette which has formal and informal ways. It exhibits various manners as dinning, social, business, and telephonic and email. The Soft Skills Training which propels him for confidence building, decision making, time management, all under interpersonal skills. Then comes the time for another counseling in which we check student’s previous learning impact in his presentation. After this, we move on to Communication Skills Part 2 and in this part we provide the knowledge of four modules of English following a technique of LSRW i.e. Listening, Speaking, Reading, Writing and with all grammar. Going ahead the student inculcates Life Management Skills which tells him about different aspects of life, like, complementing others, patience, nurturing relationships, creative thinking and so on.